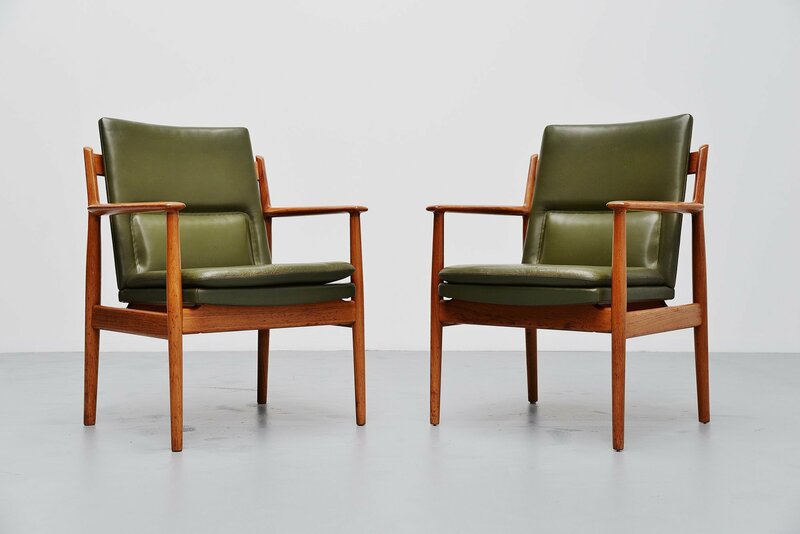 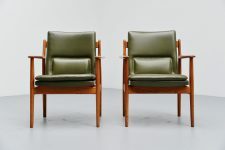 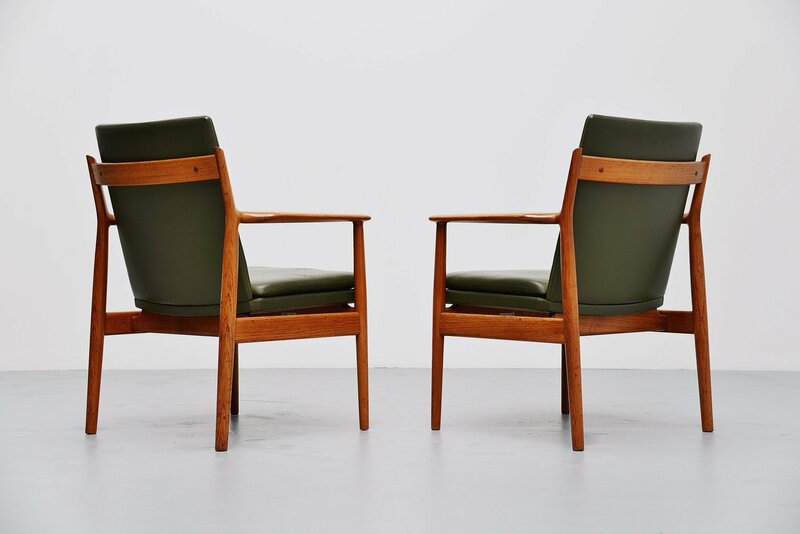 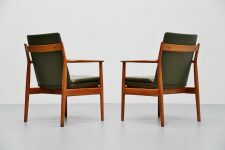 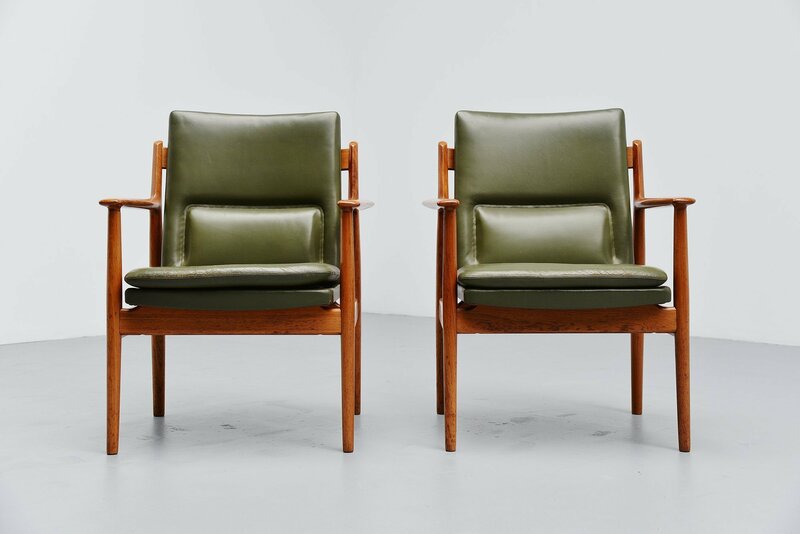 Nice pair of armchairs designed by Arne Vodder and manufactured by Sibast Mobler, Denmark 1960. 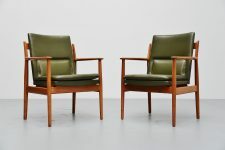 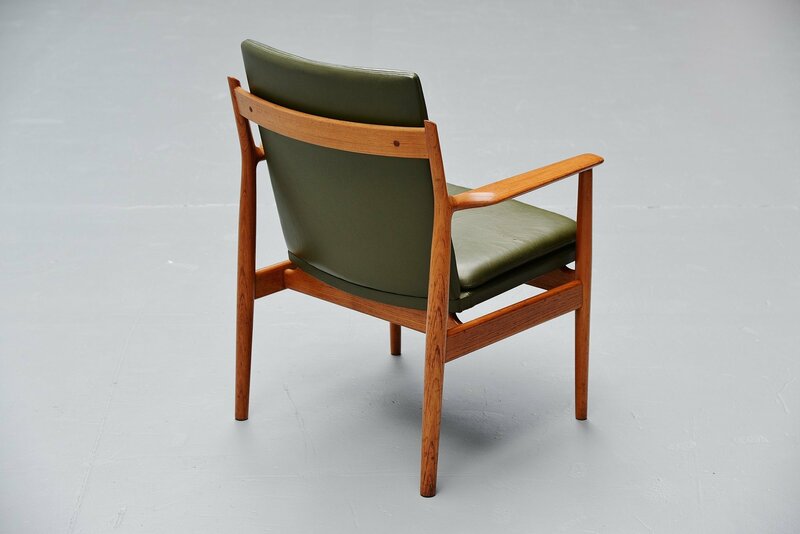 The chairs have a solid teak frame and green leather upholstery. 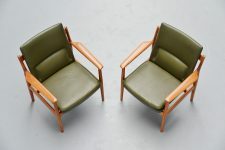 The upholstery is still original but the seating cushions have new foam inside. 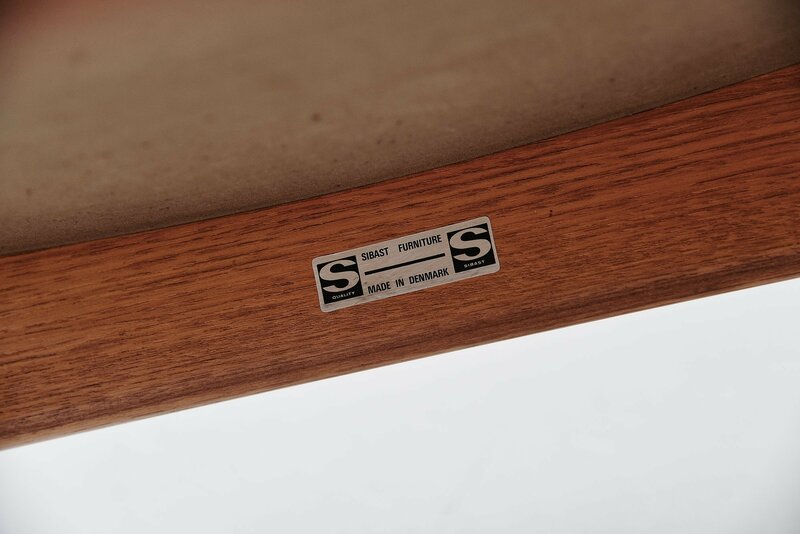 The seats have some craquelé. The chairs seat comfortable and would be great to use as desk chair for example. 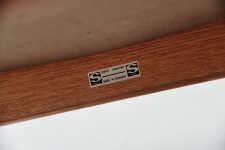 The chairs are marked wit the Sibast sticker on the underside.